Workers picking kiwifruit on a Seeka orchard in NZ in 2015 – five years from on Psa-v being detected here. Now the company faces the threat of the same vine-killing disease on an orchard in Australia. The same type of vine-killing disease Psa-v which hit the New Zealand kiwifruit industry in 2010 has now been detected for the first time in Australia – on an orchard owned by Te Puke-based company Seeka Industries. Seeka CEO Michael Franks confirmed Psa has been detected and verified last month on an orchard under development in the Victorian state, owned by its Australian subsidiary – Seeka Australia. Seeka is the largest kiwifruit grower in NZ and Australia, is the second-largest packhouse operator, and has operations in Australia that include extensive nashi and European pear orchards. “Testing of the Psa in Australia has confirmed that it is PSA 3, the same type as found in NZ but the testing has not confirmed its source,” says Michael. There are two Psa strains – both are a plant health issue and not a food safety issue. Psa-lv, which is less virulent and thought to be relatively benign, was detected in Australia in 2011. But this is thought to be the first time Psa-v – the virulent and more deadly strain – has been detected in Australia. Michael says the Psa-v strain was found in an orchard in development rather than an orchard in production – and was detected in new variety areas where gold and red kiwifruit have been grafted. Seeka declined to name the new varieties but Michael confirmed that the varieties being trialled in Australia were all sourced from within Australia “and no plant material has been introduced to Australia from NZ by Seeka”. Seeka has 93 hectares of mature Hayward in Australia, which is sold predominantly in Australia with some of it exported. Michael says Seeka has indicated no material impact to earnings is expected by the detection but indicates future earnings growth will be slowed as the developments will take longer to get to production. The detection of Psa across the Tasman is déjà vu for Seeka, which was hit extensively by the detection of the vine-killing disease in Te Puke, NZ, back in 2010, which resulted in orchards across the country removing the vines of gold variety Hort16A in following months and years to replace with the more psa-tolerant variety SunGold. However Michael says being experienced in Psa management, Seeka has moved proactively ahead of the problem in Australia and has a full monitoring and containment programme underway. 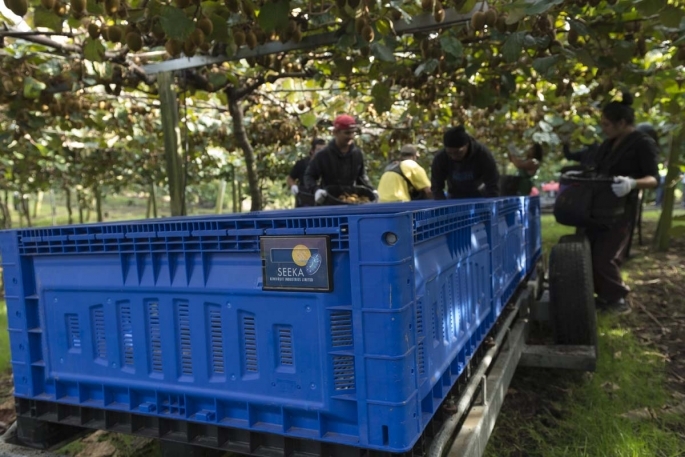 Back home in NZ Seeka is still fighting a court battle – along with the Kiwifruit Claim group of 212 growers – against the Crown to be compensated over the Psa outbreak in 2010. A High Court decision earlier this year found the Ministry for Primary Industries negligent in allowing the vine-killing Psa-V disease into NZ in 2009, which devastated the kiwifruit industry. But the court only partially upheld the claim by the group of 212 growers for damages. The judge did not uphold the claim by second plaintiff Seeka, saying post-harvest operators were one step removed from the direct harm suffered by growers, so were less closely connected to the consequences of ministry negligence. The Crown appealed the High Court decision that found MPI negligent – then the Kiwifruit Claim group filed a cross-appeal over the High Court decision. Now, the Crown, on behalf of MPI, and the Kiwifruit Claim group – which represents the 212 growers as well as Seeka – will have to wait until possibly early-2019 when the Court of Appeal will hear both the Crown’s appeal and the Kiwifruit Claim group’s cross appeal at the same time.